Elizabeth Warren is one of the most vocal politicians in the current democratic dispensation in America. She is a Democrat from Massachusetts and has been in the U.S Senate since 2012, serving in many Senate committees and subcommittees. She is no doubt one of those shaping America for the better and for that reason her background should be of interest to anyone who has our beloved nation at heart. Here, we have written all there is to know about her including her educational accomplishments, family life without leaving out the native American controversy about her. So read on! This United States Senator was born on June 22, 1949, in Oklahoma City, Oklahoma into a middle-class family made up of her father, Donald Jones Herring and his wife, Pauline Reed. She has as her siblings, three elder brothers with whom she was raised in the Methodist Christian doctrine. Growing up, her family faced a lot of financial difficulties as her father’s heart attack when she was 12 cost them a lot on medical bills, more so the family’s car was taken due to their failure to pay up a loan they owed. To augment their meager income, Elizabeth’s mom took up a job in the catalog order department at Sears while she herself worked as a waitress at her aunt’s Mexican style restaurant. Despite the difficulties, however, a lot of potentials was innate in Elizabeth Warren and she began showcasing this in her school. Elizabeth was a student of Northwest Classen High School where she was a member of the school’s debate team. She won the state high school debating championship and also a George Washington University debate scholarship at just 16 years old. The teenager enrolled to the college and began studying at the there for the next two years before she dropped out to marry her high school beau; Jim Warren. She later enrolled at the University of Houston when she and her husband moved there and graduated in the year 1970 with a B.Sc degree in speech pathology and audiology. Elizabeth then began a career as a teacher teaching children with disabilities in a public school. Later they moved again to New Jersey where she got admitted to the Rutgers University, Newark School of Law and graduated in 1976 with a Juris Doctor degree. Elizabeth as well passed her bar examinations and began practicing legal services at home writing wills and doing real estate closings. Warren’s academic career has seen her lecture at Rutgers University, Newark School of Law from 1977–78 before she went over to the University of Houston Law Center where she was from 1978–83 becoming Associate Dean for Academic Affairs in 1980. She has taught in the University of Texas School of Law in 1981, and 1983–87 as a visiting associate professor, similarly; she taught in the University of Michigan (1985) as a visiting professor, worked as a research associate at the Population Research Center of the University of Texas at Austin from 1983–87, taught in the University of Pennsylvania Law School (1987) as a full professor, and as Robert Braucher Visiting Professor of Commercial Law at Harvard Law School in 1992. Prior to her winning a political seat, Elizabeth Warren’s life was already a public one, at least from an academic perspective. As an expert in bankruptcy and commercial law, in 1995, she has had the responsibility to advise the National Bankruptcy Review Commission to which she worked tirelessly in for years. In 2008, U.S. Senate Majority Leader, Harry Reid appointed her to chair the five-member Congressional Oversight Panel overseeing the Emergency Economic Stabilization Act to which they released monthly reports assessing the bailout and related programs of the government. Former U.S President Barack Obama in 2010 appointed her Assistant to the President and Special Advisor to the Secretary of the Treasury for the Consumer Financial Protection Bureau which she was an advocate for its creation. She ran for her first political office against the Republican incumbent, Senator Scott Brown in a keenly contested poll which she won with 53.7% of the votes. This made her the first Massachusetts woman to be elected to the U.S Senate. Elizabeth Warren got assigned to the Senate Banking Committee where she pressed for several bank reforms. She also served in the Committee on Armed Services, Committee on Banking, Housing, and Urban Affairs, Committee on Health, Education, Labor and Pensions and Special Committee on Aging. She has as well announced her intentions to run for a second term in office. According to a CNN Money report, Elizabeth Warren has a net worth estimated to fall anywhere between $3.7 million and $10 million (average net worth of $8.75 million) which makes her the 76th wealthiest of 541 senators American senators and representatives according to the CNN report. 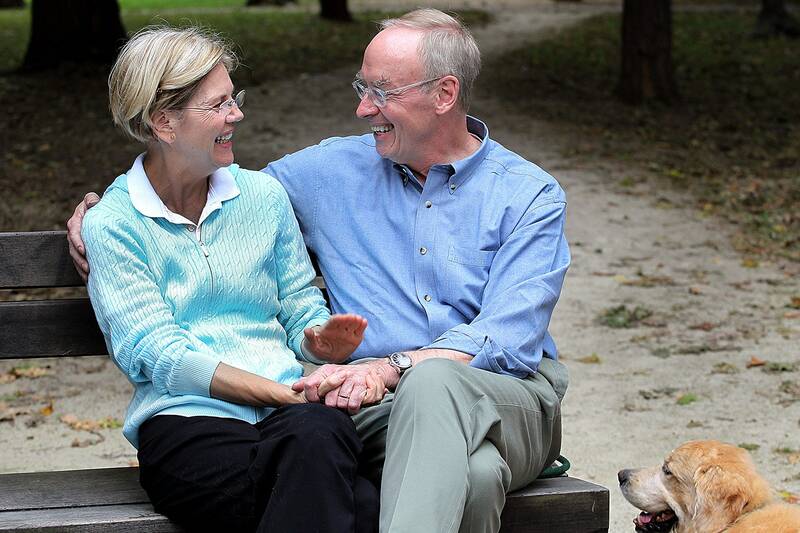 Elizabeth Warren first got married to Jim Warren her high school sweetheart from 1968 to 1978 when she sought for divorce with him and got it. They, however, had two kids; Amelia and Alexander during the time they were together. She then got married to law professor, Bruce H. Mann, in the year 1980 and has been married to him since then. Elizabeth nevertheless retains the name of her first husband. Elizabeth Warren’s Native American controversy dates back to when she was just getting started as a politician. Her then-Republican opponent in the Senate Scott Brown accused her of fabricating a Native American heritage to gain an advantage in the labor market. Similarly, her former colleagues accented to Scott’s claims stating that her ancestry played big roles in her getting employed. 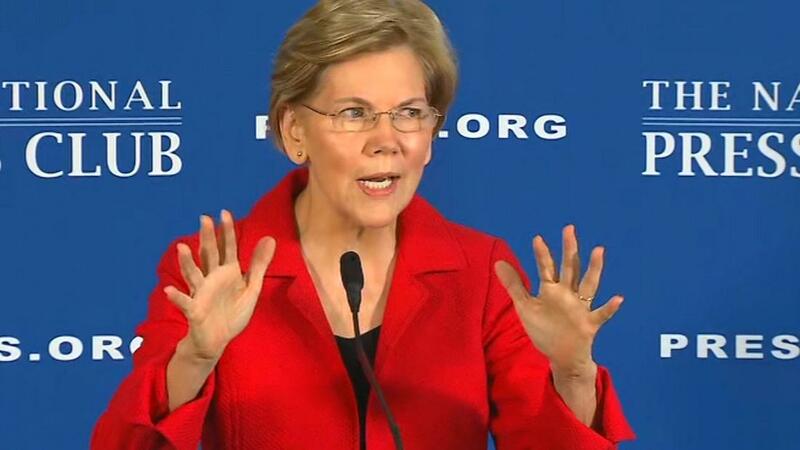 It came up again at the Democrat’s Senate run in Massachusetts in 2012 and in the 2016 presidential race, incumbent President Donald Trump described her as “Pocahontas”. Is she then a Native American? Warren’s main response to this was her claim of hearing her mother and grandmother tell her and her siblings of their family having Cherokee and Delaware heritage. Her brother has also collaborated on this claim but there have been no documents to lay credence to their family having such heritage. She has also repeatedly insisted that she never used her Native American heritage claim to gain an advantage. There has also been no concrete evidence to show that she used her Native American claims to gain an unfair advantage in getting teaching jobs.